A HOT First Quarter in the Local Market! 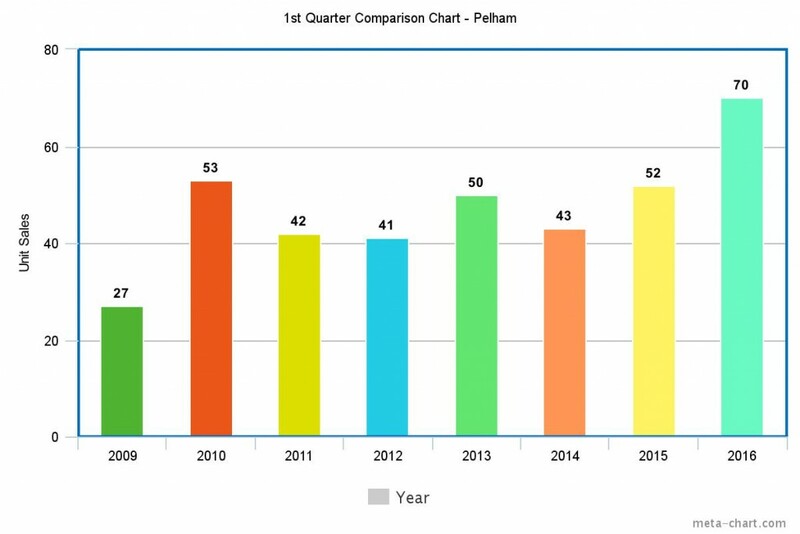 Unit sales of residential properties in Pelham jumped 34.6% during the First Quarter of this year compared to the same time frame last year. According to MLS® system reports of the Niagara Association of REALTORS® there were 70 sales in Pelham so far this year up from the total of 52 sales reported during January-March 2015. The 8-year average for unit sales in the 1st quarter is 47. 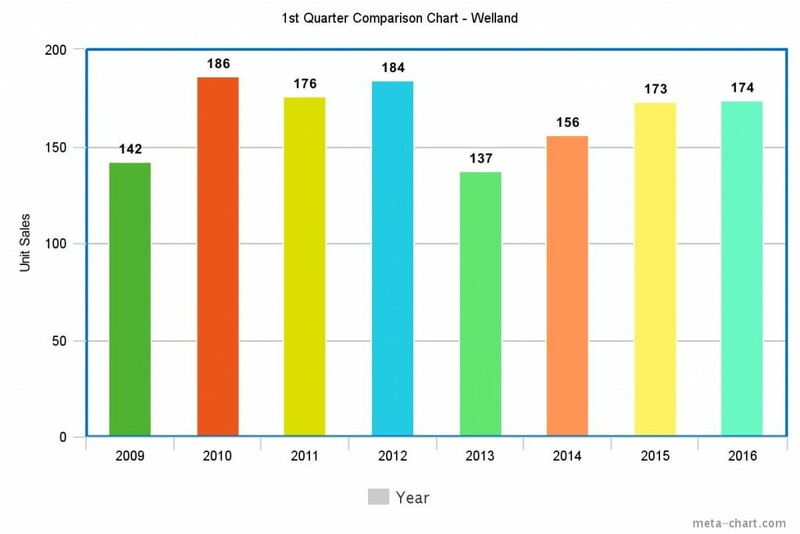 First Quarter sales in the City of Welland were on par with last year with a total of 174 sales recorded compared to 173 transactions during January-March 2016. The current sales level reflects a 4.8% increase over the Rose City’s 8-year average of 166 unit sales in the 1st quarter. In Pelham the month-end 12 month average sale price reached $417,391 –up 6.4% from last year’s $392,435. 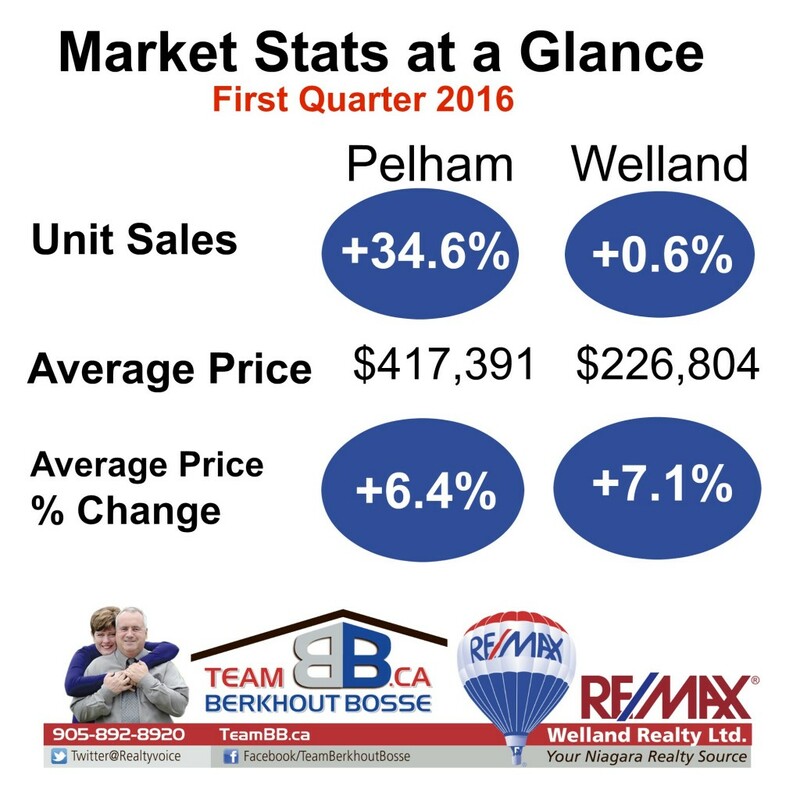 In Welland the 12 month average price now stands at $226,804 up 7.1% from last year’s $211,756 and reflecting an impressive 21.2% climb from the average price of $187,097 recorded in March 2014. Sales are on the rise in all of Niagara’s major cities. St. Catharines reported sales of 518 climbing 27.2% from last year’s First Quarter total of 415 units. In Niagara Falls unit sales were up 37.5%, with 374 sales compared to total of 272 transactions reported January - March 2015. The inventory of homes on the market in Niagara is now extremely undersupplied compared to the level of demand. We haven't seen such a tight market for many, many years. Buyers need to make quick decisions about offering on New Listings, as multiple bids are the new norm in Niagara.